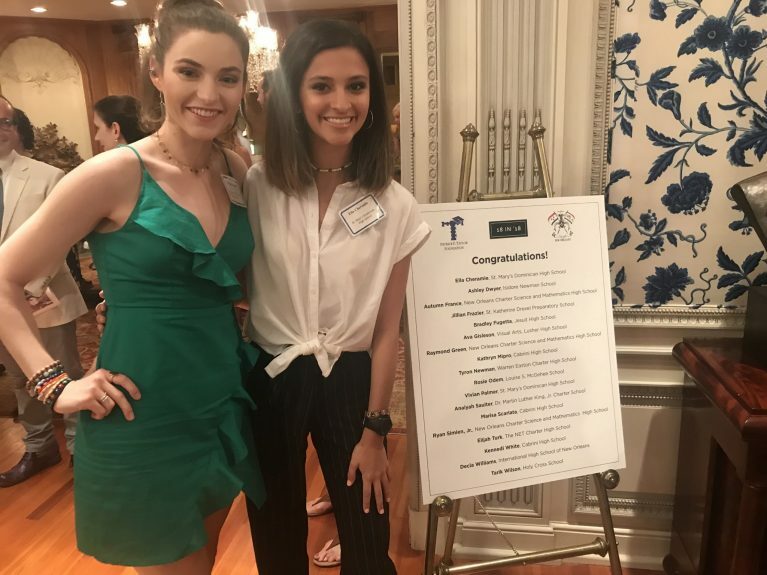 A Toast of Praise to Ella Cheramie and Vivian Palmer who are finalists in the Patrick F. Taylor Foundation’s 18 in ’18, an arts competition showcasing the creative talents of high school juniors and their special connection to the culture of New Orleans. 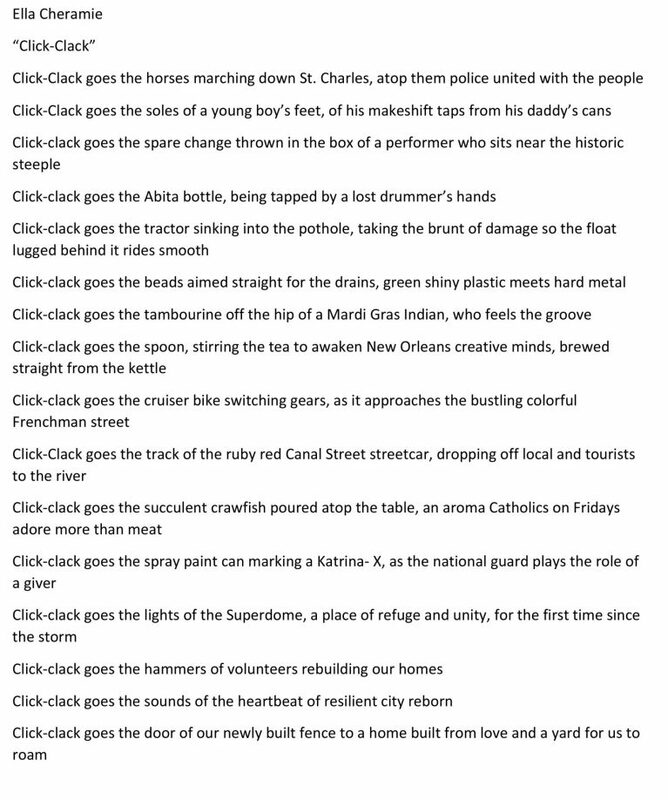 The competition honors the Tricentennial of the City of New Orleans. “As we honor the Tricentennial of New Orleans, it’s important that we capture the voices from our community’s young people,” said Phyllis Taylor, president and CEO of the Patrick F. Taylor Foundation. Ella and Vivian are among 18 finalists selected by a panel of seven judges who reviewed original essays, graphic arts, poems and videos submitted by 47 students from 21 high schools in Orleans Parish. The 18 finalists will be featured in a film produced by high school senior Kelly Yu with assistance from internationally renowned artist and design consultant Xiao Xiao. One finalist will become the grand prize winner and receive an $1,800 cash award. Additionally, the winning student’s school will receive $18,000. The winner will be announced in October at the opening of the Taylor Education Center. Read the winning entries by Ella and Vivian.